Secure communication, an important aspect of any networking environment, is an especially signicant challenge in ad hoc networks. The MANET paradism seeks to enable communication across networks whose topology and membership can change frequently. Its distinctive feature is that network nodes need to collaborate with their peers in supporting the network functionality. In such an environment, malicious or selfish nodes can disrupt or even deny the communications of potentially any node within the ad hoc networking domain. This is so, exactly because every node in the network is not only entitled, but is in fact required, to assist in the network establishment, the network maintenance, and the network operation. 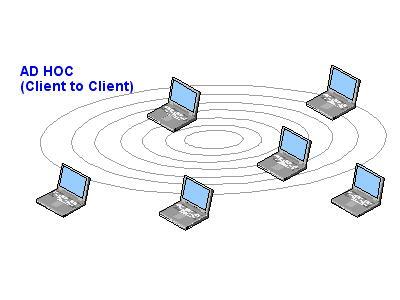 Ad-Hoc Networks consist of peer-to-peer communicating nodes that are highly mobile. As such, an ad-hoc network lacks infrastructure and topology of the network changes dynamically. The task of routing data from a source to a destination in such a network is challenging. Several routing protocols have been proposed for wireless ad-hoc networks. Most of these protocols, however, presuppose the presence of bi-directional links between the nodes in the network. In reality the ad-hoc network may consist of heterogeneous nodes with different power capabilities and hence, different transmission ranges. When this is the case, a given node might be able to receive the transmission of another given node but might not be able to successfully transmit to the latter. Thus, unidirectional links are formed. a station initiates a transmission. In the past, much research effort has been devoted on Service Discovery in static networks, like the Internet. The emergence of wireless communications and small mobile computing devices has created the need for developing service discovery protocols and architectures targeted to mobile environments. Especially, the proliferation of Mobile Ad Hoc Networks (MANETs) has introduced new requirements to service discovery due to the inherent characteristics of these networks.